Explaining to the toddler what an "!" 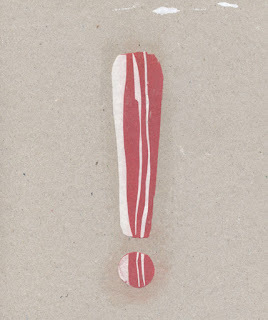 (Exclamation mark) is in a game of "Dobble", and he came back with the excellent "Extra-bacon mark"! 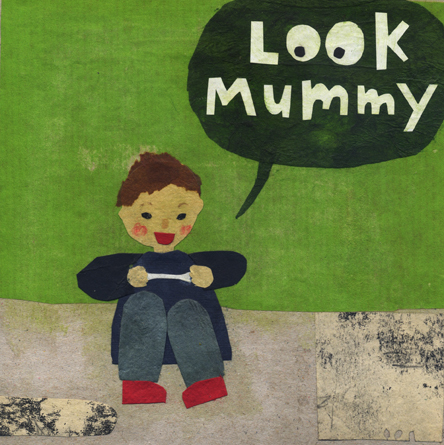 ...and find him playing with a bit of chewing gum he's peeled off the pavement. 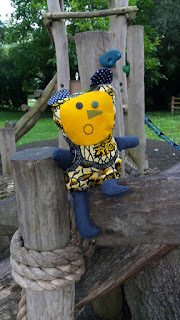 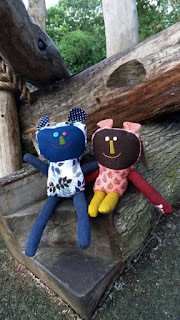 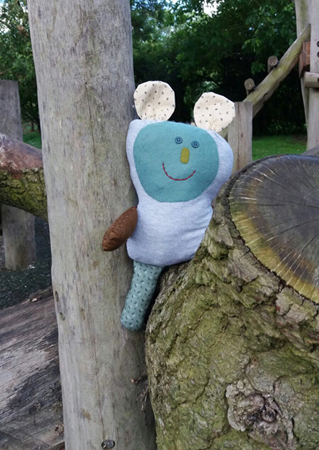 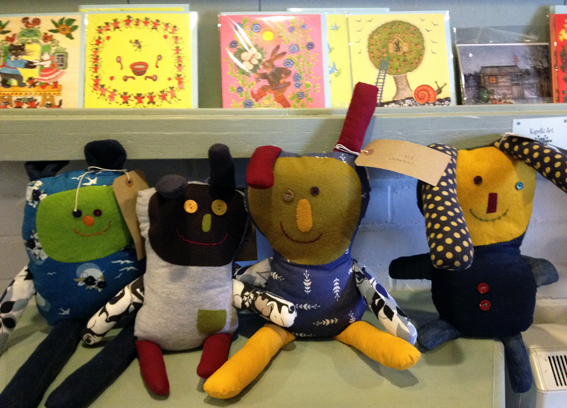 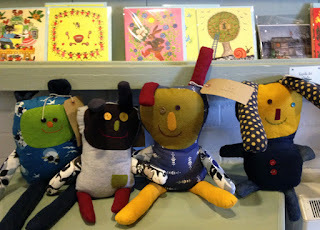 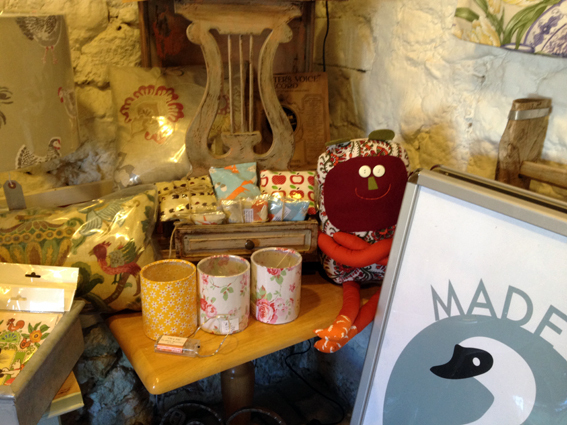 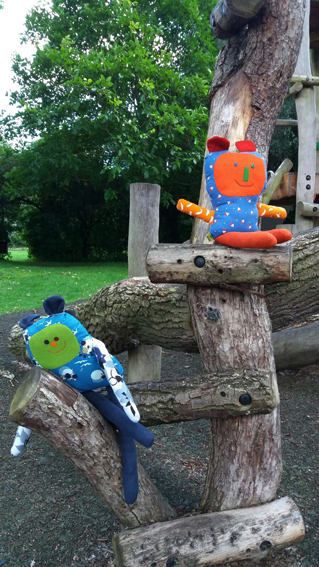 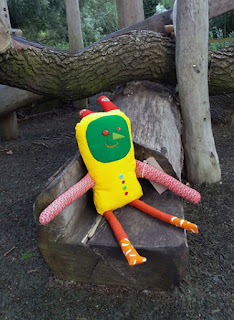 You can now find some of my hand sewn toys for sale at Bromham Mill in Bedford. 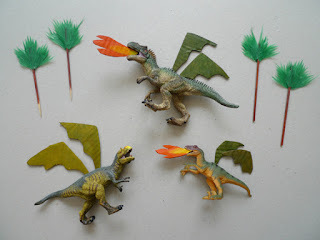 CAKE TOPPERS - it's surprisingly hard to find a cheap dragon toy last minute (because no matter how organised I think I am, the reality is I am and always will be last minute) but there are lots of dinosaur toys, so I made some silly wings and flames out of cardboard and stuck them on. I made the trees by gluing sushi grass onto skewers. 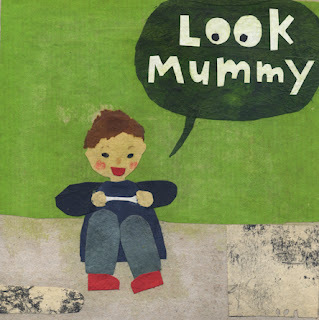 It all looked pretty bad and hilarious. 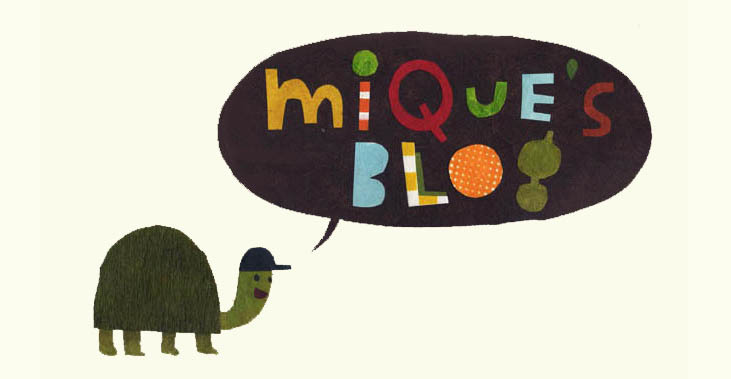 This is the look I was going for. 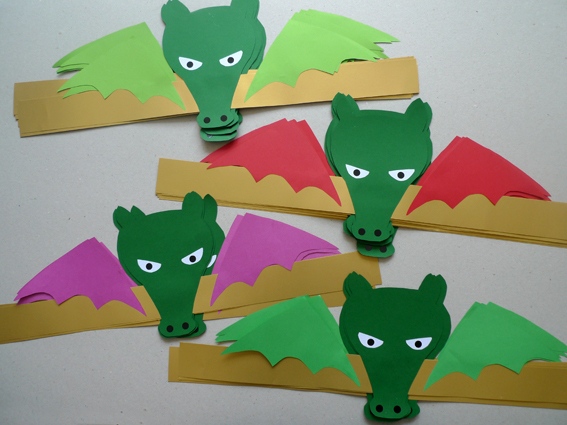 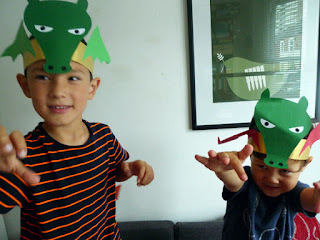 HEADDRESSES - we made about 30 dragon headdress, with different coloured wings and tail tips. Despite the heavy rain the kids donned their dragon headdresses and ran wild, YAY! 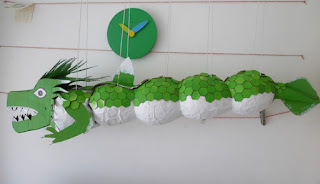 PINATA - my partner Sam spent days paper mache-ing and glue-gunning and painting. By the end of it all his fingers were covered in blisters, all for the kids to bash the hell out of it and grab the loot! 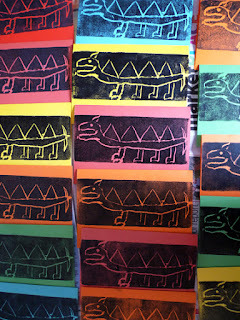 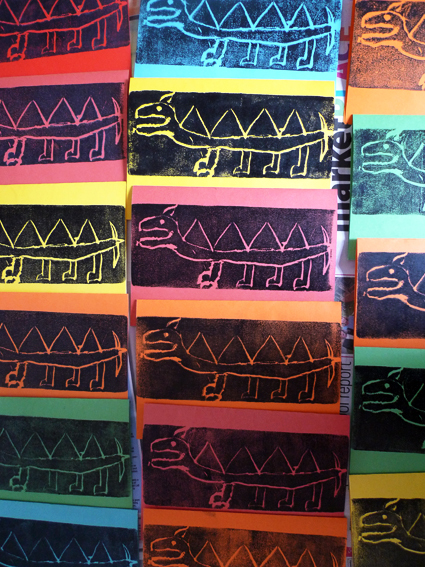 And for afterwards...we made Thank You cards using the dragon print made during Daisy Hirst's printmaking workshop we attended a week earlier.